Meta Description is known by blogger writers, web development, and web designers. It is a most important for search engine ranking for blog and website where everyone can see on the search engine result page. It would be a great ranking on the google search engine if your website has a strong page description on the page. 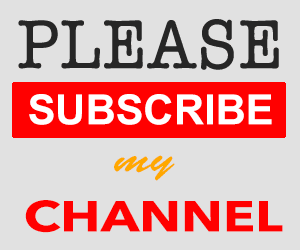 A young Blogger who is using Blogger CMS, he might be getting stress to find where he/she can create and add a description to their post or page so a blogger should not miss two things to improve SEO on Blogger when you create a post and page. 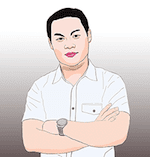 Follow the link I provided to set up meta description on Blogger blog. And this below guide will intend to help you write a strong meta description. The meta description is a message that is intended to provide the user a snippet of what they want to look for on search engine results and it was limited to write 160 characters long that summarizes about the page of content. The user will meet it in the search result on any search engine website when they use a phrase to search for something then a short snippet show below the page titles. That is a meta description that the webmaster wrote for their page content. How to Write a Killer Meta Description? I still strong believe that a page description will impact search engine rankings. Although, Google said that meta description does not impact search engine rankings in 2007. So I work focus with page description hardly within these below guides. You can create a meta description tag and write as long as you want, but it will not impact on search engine ranking because the search engine will truncate any longer than 160 characters. So I recommend to write it about 135 to 160 characters length. What are you writing about? Think about it and start to write a page description to match it. Google will find your page description and it tricks the visitor into clicking and score it less but bounce rate will be increasing. So to avoid the mistake you should write a page description to match your content of a page. Try to think a unique one or summarize your content avoid copy or duplicate from other websites. The unique meta-description is an effective marketing message reach to visitors and recognize it's quality by the search engine. If you value to any keywords that force you to write the article or a keyword that you are targeting, then put them in your meta-description because Google will highlight the search term in the page description. If your description is strong the page will be ranking. There are few pages such as contact us page, privacy page, term and condition page, and others that you would think about them and put them in your term. Should you provide a meta description tag to all of them? If you have any pages that are not necessary to live on the search engine you should be provided meta-description to them, then Google or other search engines will hard to find all of them it the search result. The Meta Description mostly placed in the HTML tag where you can find below <head> tag. If you view page source you found it as below sample one. You are a webmaster or administrator of a website, then you will be able to change or create for your blog or website page. You can use the above sample to place in your website HML if you do not add it yet. Google webmaster tool is an SEO checking tool that your can use to analysis your website, especially meta description analysis tool. It will automatically check and address you to improve some pages description as well as to improve user experience and performance. How to Find Duplicate Meta Descriptions in Google Webmaster Tool? Use this Google Webmaster Tool tutorial to improve your website page descriptions in case they got duplication. In the Meta description navigation will tell you a number of duplicate meta descriptions. You got pages that need to customize, then go to your website page and follow this tutorial for customizing its description. 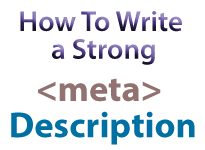 Finally, you got to know a way to write a strong meta description and it is importation thing you should focus on your web page with meta description to improve SEO ranking. If you would like to learn more about basic SEO, then do not forget to get in touch with our Search Engine Checklist where you can review your SEO score.